Deluxe Lily Basket with other plants. 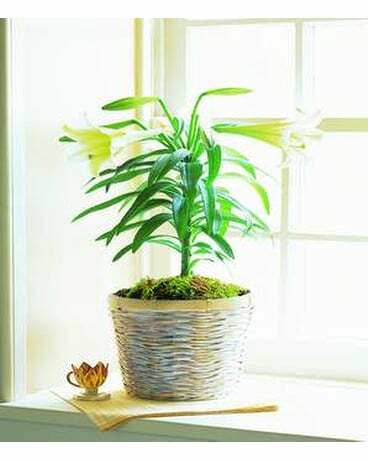 Premium Lily lg Basket with other plants. This classically beautiful white lily plant with its long, graceful leaves is the perfect choice for Easter or spring celebrations. Prices are only for our immediate delivery area. Your Easter lily order will arrive in a decorative basket. Order early before supplies are gone.